RE/MAX real estate professionals take an active role in helping to create a future without breast cancer and you can too through the RE/MAX Home for a Cure. Our participating RE/MAX Blueprint Realty agents have voluntarily pledged to make a donation to Canadian Breast Cancer Foundation from each home sold. 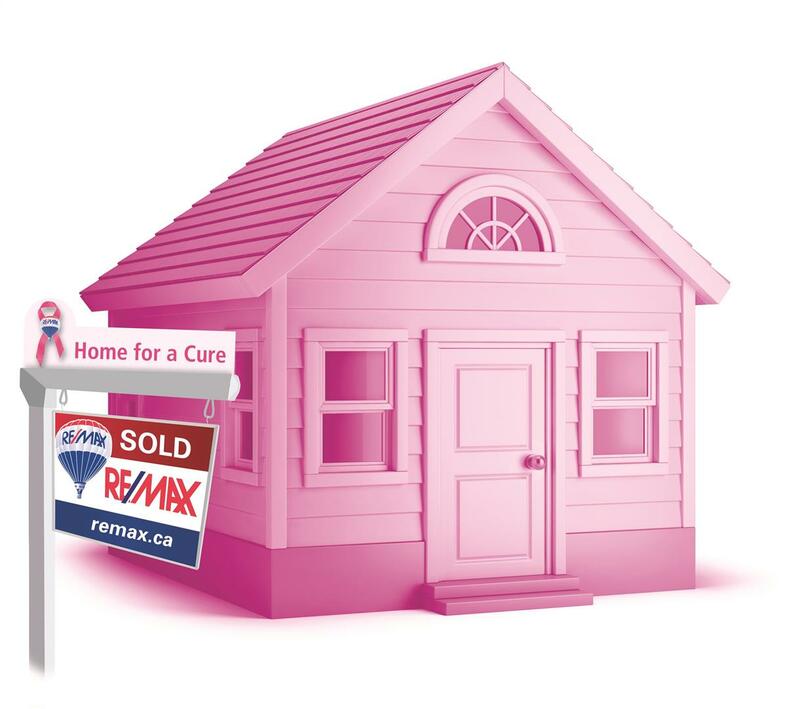 Home for a Cure is an exclusive charitable fundraising program offered by RE/MAX agents benefiting the Canadian Breast Cancer Foundation. Why make your home a RE/MAX Home for a Cure? When you list your home with a RE/MAX Blueprint Realty Home for a Cure agent, you will get the highest quality service available from the most experienced agents in the world and YOU are making a choice to help create a future without breast cancer.